Far Hills, NJ (November 15, 2016) — In an official response to the Federal Energy Regulatory Commission (FERC) and to the gas companies that comprise the shell organization known as PennEast, the New Jersey Division of Rate Counsel (Rate Counsel) yesterday continued to criticize the PennEast pipeline project by further substantiating its assertions that the proposed gas pipeline is not needed and does not benefit the public. 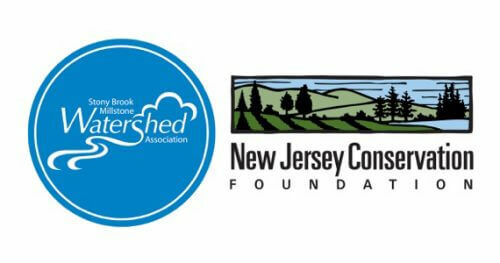 New Jersey Conservation Foundation (NJ Conservation), Stony Brook-Millstone Watershed Association (SBMWA), and the Eastern Environmental Law Center (EELC) applaud the serious economic investigation that Rate Counsel undertook, and renew their call for FERC to deny any approvals for this project. “The state agency that represents us, the paying public, has again concluded that the PennEast pipeline is not needed, would be unfair to consumers, and would result in profits so massive that it would be like ‘winning the lottery,’ ” said Tom Gilbert, campaign director, NJ Conservation. “In the absence of any demonstrated need for this project, we call on FERC to reject the proposed PennEast pipeline,” Gilbert said. “The damage that PennEast would cause to drinking water, our communities, and our health and safety is too great to proceed with the project only to pad the pockets of PennEast’s owner companies,” Gilbert said. The Rate Counsel also dismantled PennEast’s assertions that the project would result in cost savings, or lessen the price spikes experienced during severe weather events such as the Polar Vortex in 2013-2014. Rate Counsel affirmed that the increase in prices wouldn’t have been eliminated simply by increasing capacity and that PennEast would have had limited, if any, effect. “It is particularly damning that Rate Counsel pointed out exactly how PennEast’s economic justification is a moving target without any legs. Rate Counsel aptly described PennEast’s new arguments for what they are – after the fact changes to its project application that still do not cure the project’s legal and economic defects,” said Jennifer Danis, senior staff attorney, EELC, counsel to NJ Conservation and SBMWA. “Opponents of the PennEast pipeline stand firmly behind the Rate Counsel’s position that this self-dealing project only serves the companies behind PennEast – PSE&G, South Jersey Gas, New Jersey Natural Gas, and Elizabethtown Gas. The project should be stopped in its tracks,” said Jim Waltman, executive director, SBMWA. The full Rate Counsel letter is available to download here. Also filed with FERC yesterday along with Rate Counsel’s letter is the Affidavit of David E. Dismukes, Ph.D.